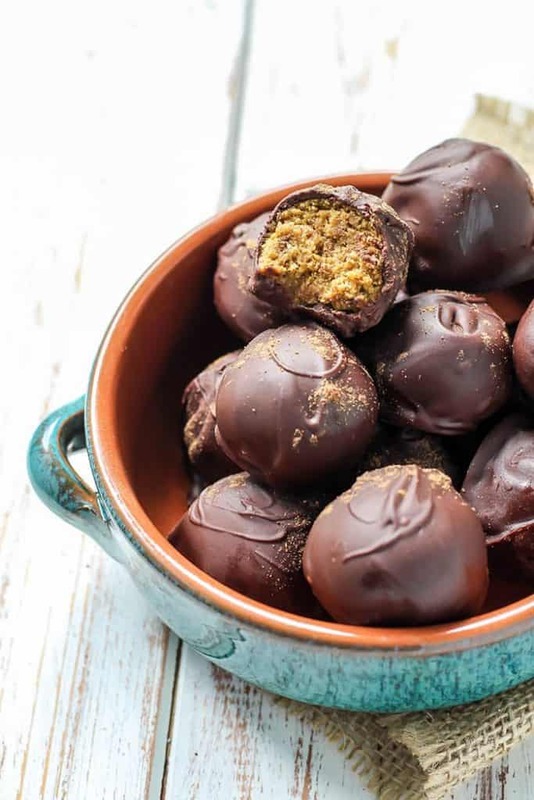 You guys are going to love these Pumpkin Spice Latte Truffles. Your favorite fall drink transformed into a healthy chocolate treat! Made with plant protein blend for a superfood boost, and a tested paleo option. Under 100 calories per truffle, vegan and gluten-free! 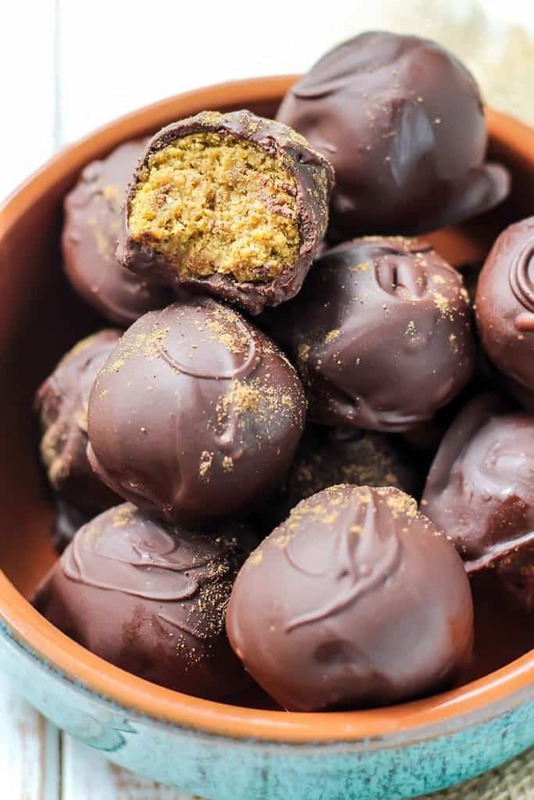 Yeah, we’re totally turning into a #basic you know what with these pumpkin spice latte truffles. But guess what? Long hurr don’t curr! You NEED these in your life. I actually just received a promotional piece of mail that said: “Pumpkin Spice Latte? Don’t be BASIC.” Drew saw this as we were eating dinner and it prompted a ridiculous conversation. Me: I honestly don’t know. We’re too old for this. Me: I don’t know… can guys be basic? The conversation went on and I decided to google how #basicbitch really came about. The articles I came across were both informative and comical <– definitely watch the video if you haven’t already. Anyways, the point is it’s fall and PSL season which apparently makes us basic but we don’t care. And I just made some healthy truffles for you to share with all of your basic friends. 2. I was out of my chocolate treat stash. You know the one that you get into after dinner… or maybe sometimes you have a little chocolate with breakfast. It’s cool, we don’t judge around here. Chocolate is an anytime food. But constantly creating homemade chocolate treats gets dangerous, guys… because you HAVE to lick the melty chocolate spoon at least a couple times. It’s considered wasteful if you don’t… And then upon waiting for the chocolate to set you OBVIOUSLY have to taste test one… err, maybe two. I swear I need an assistant just to share the taste-testing duties around here. Drew doesn’t really count because he typically isn’t around when I am in the middle of testing. OR he still expects my healthier blog treats I feed him to be loaded with butter and sugar. Sorry, love. That’s not how we roll around here. 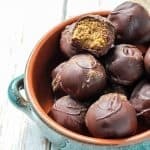 These Pumpkin Spice Latte Truffles are really really easy! All you must do is combine all of your ingredients (minus the chocolate chips and coconut oil) in a bowl and form balls. Pops those in the freezer on a baking tray for about 10 minutes. 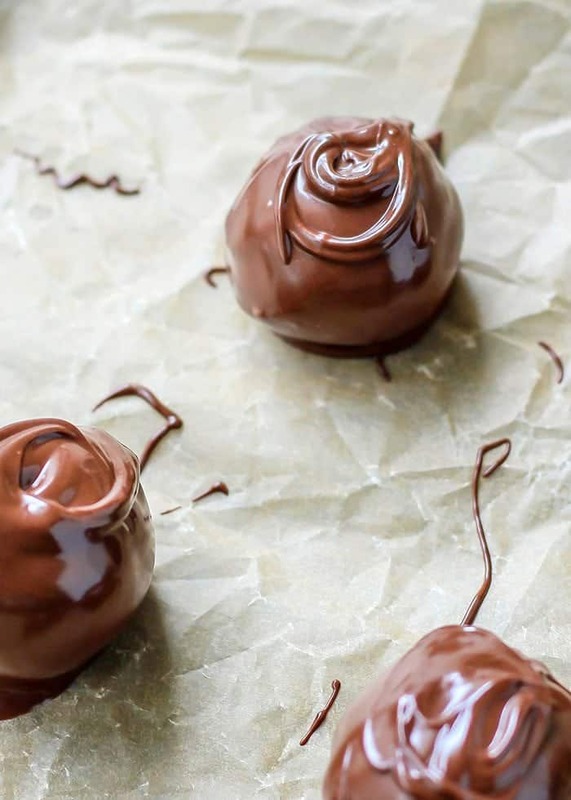 Melt the chocolate and coconut oil together, then dip the balls into the chocolate and transfer back on the tray to set. Once you’ve finished covering all of the pumpkin balls in chocolate put the tray back in the freezer for another 10 minutes. Then the PSL Truffles are ready for your consumption! –I used Vega Essentials protein powder, but most plant-based protein powders *should* work. I’d recommend using a plant blend for the best results. Subbing with an alternative like all hemp, brown rice, or pea protein may yield a slightly different texture, or you may just need to adjust a couple other liquid ratios. 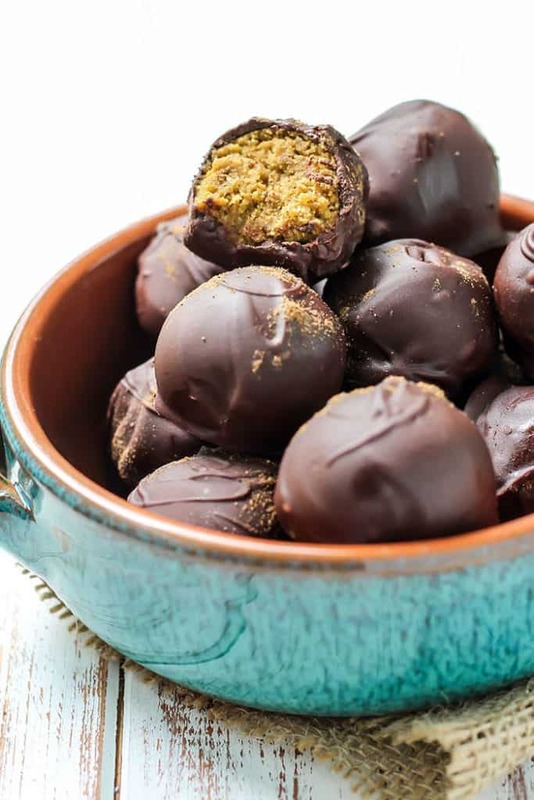 –I also tested these truffles with no protein powder in case anyone prefers that. All you need is a total 7 tablespoons of coconut flour in place of the plant protein. That means the coconut flour version is grain-free/paleo-friendly! Line a baking sheet with parchment paper or silicone mat, set aside. In a medium bowl mix together pumpkin puree, maple syrup and nut/seed butter. Add in protein powder. coconut flour, pumpkin pie spice and espresso powder and stir until dough comes together. While the balls are chilling, melt your chocolate (about 3/4 cup chocolate chips) with coconut oil either in increments in microwave or on stove top on low heat. Dip balls into bowl of melted chocolate until fully covered (I used a spoon) and transfer back to lined baking sheet. Once all of the balls are fully coated, transfer sheet back to freezer for about 10 minutes to allow chocolate coating to set. *If using another plant protein powder I’d suggest using a blend to yield the same results. If using another protein powder such as all hemp, pea, or brown rice protein you may need to adjust liquid ratios. **If you’d like to avoid protein powder and want a grain-free/paleo option, you can use a total 7 tablespoons of coconut flour. If your mixture seems dry, start by adding 1 tablespoon of milk at a time. Coconut flour is can be pretty finicky, so be patient! ***If not using dairy-free/vegan chocolate, you do not need to add coconut oil to chocolate if you don’t want. –nutrition approximate, based on plant protein ingredients. These would actually make a great little party treat, don’t you think? Post workout treat for SHO!! Ummm call me basic and give me 3! Love this, I know it’s amazing. Your silly hubby! Lol Mr. FMK IS silly. Although apparently he doesn’t care for pumpkin stuff much anyway. HE’S CRAY. lol I know, right? So silly. lol WELL FINE MARINA. More PSLs for the rest of us. JK JK. Can always use a tad bit more caffeine, right? Can’t wait to try these with my PSL they look so yummy! Get out. Give me these now. Yesssss these look perfect. I love pumpkin spice (although I’m actually not a huge PSL fan), coffee, AND chocolate. Oh and I have a huge sweet tooth, so these would come in handy. You come up with the most creative recipes! Can’t wait to give these a try. omg ashley these sound AMAZING. i’ll happpily taste test anything you need 😉 and making these asap!! Lol thanks!! I wish I could have everyone taste test! Bahaha thanks for the mention 😛 I’ll gladly be your taste tester but wait oh darnit we live so far away wahhhh!!! 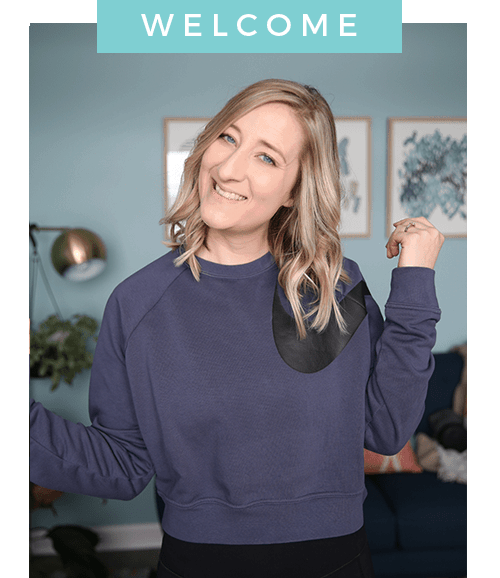 CAN’T WAIT TO MAKE THESE AGAIN, PS I pinned these to almost every board on my page….not sorry. I was drooling over these in Instagram! Since you said they were healthy I figure I can eat the whole batch! Love that they are made with coconut flour and my FAVORITE Vega, always fills me so I don’t eat them all! Anyway, this recipe looks awesome. 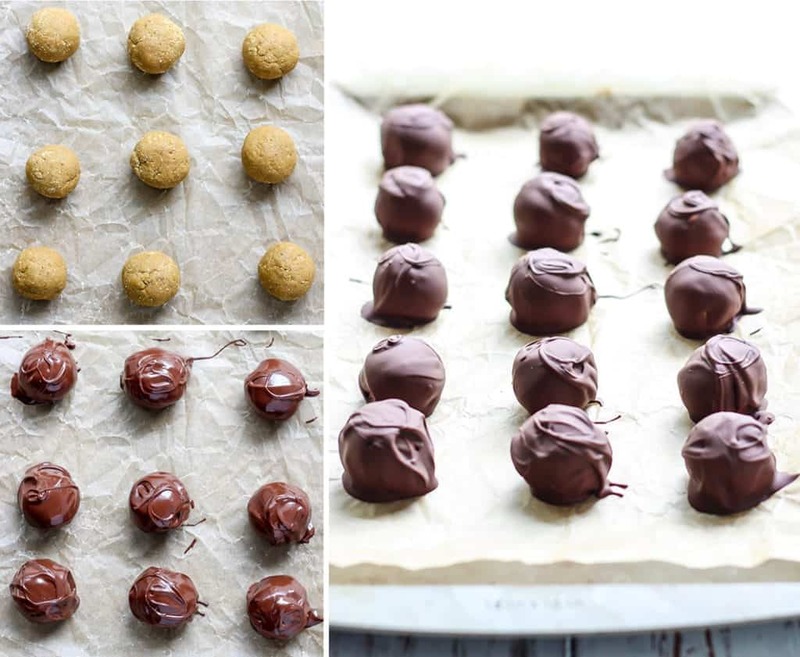 i’ve probably already pinned it – I love making healthy truffles especially this time of year! 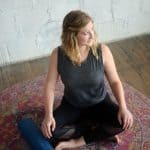 Do you think I could use almond flour as a substitute instead of coconut flour? Would love to try this recipe but hate buying new ingredients that I don’t need for anything else! You likely could but you’ll just need more since coconut flour and almond flour aren’t 1:1. I haven’t tested that way so I would start with the same amount and then keep adding by 1-2 TBSP until you get a soft dough consistency. Hope that helps!